Balenciaga Classic Neo Folk Bag features distinctive aged brass hardware, hand-stitched detailing, and convenient crossbody strap. 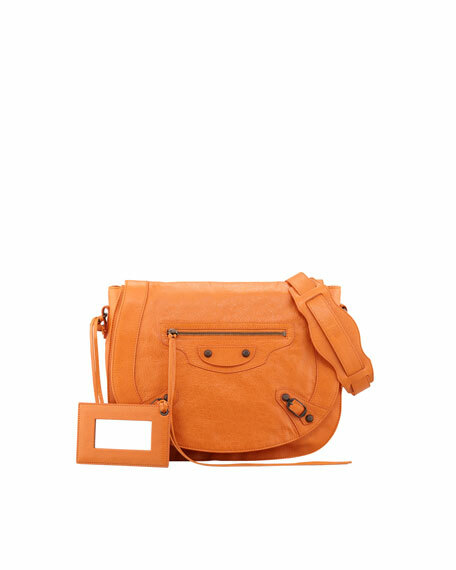 Tangerine soft lambskin with aged brass hardware, including stud and buckle detail. 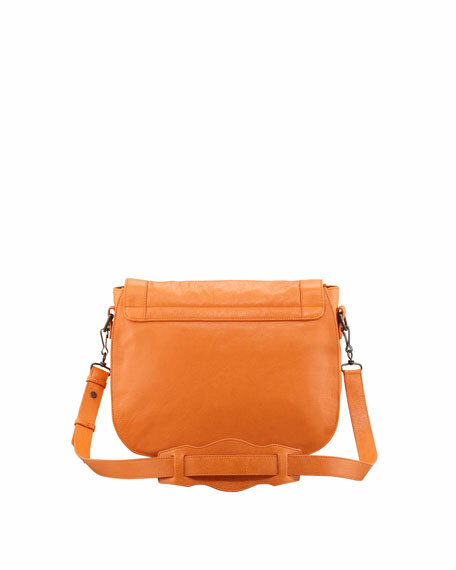 Removable crossbody strap with 16" drop. 10 1/2"H x 12 1/8"W x 3 1/2"D; weighs approx. 1lb 8oz.